I’m here to apologize to anyone who attempted to sign up for my newsletters and didn’t receive a confirmation. Evidently, there were some technical difficulties, but I want everyone to stay with me, so here’s another go at it. I know some of you are on my list already, so thank you for tolerating this second attempt. But you might want to be reminded of the giveaway for the Romancing the Wine .99 box set! Click here for a chance to win a Kindle and some great books! • make sure you receive a confirmation from my list. If you don’t see one soon after you sign up, check your spam folder to see if it was filed there. • If you don’t see anything in spam, feel free to send me an email stating that you would like to join the list(s). You can use news@chrismariegreen.com or chris@crystal-green.com. Please be sure to tell me which newsletter you’d like to join—or both! I’ll manually add you to my list(s). 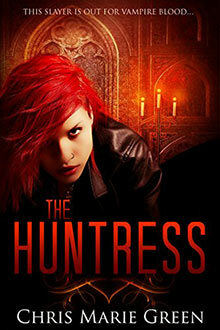 If you sign up again for my Chris Marie Green list, you’ll get the BookFunnel code for THE HUNTRESS, a vampire urban fantasy. If you rejoin my Crystal Green list, you’ll get a BookFunnel code for WET AND WILD, one of my Rough and Tumble steamy romances. So, if you want to join Crystal Green’s list for news about hot romances and even sweet historical Westerns, go here! For mystery thrillers—including paranormal—Chris Marie Green’s list has got you covered here!